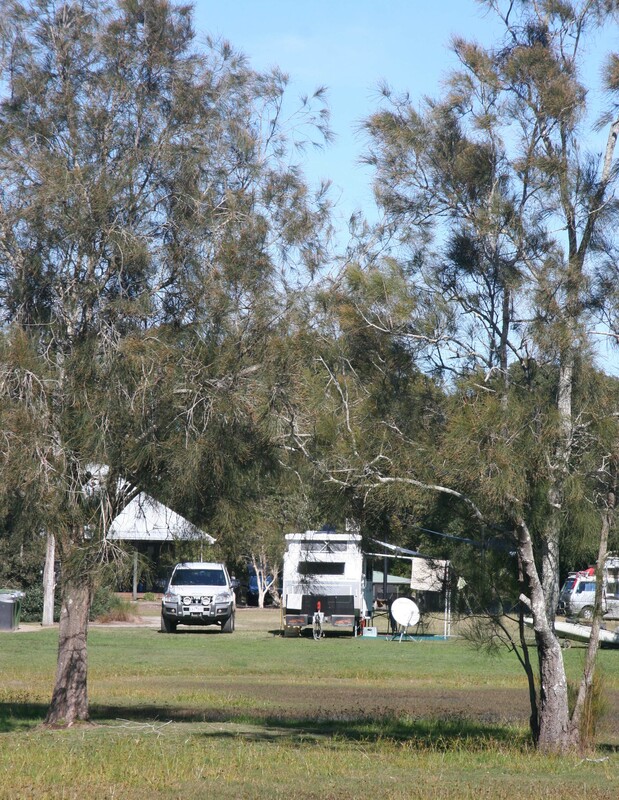 We arrived at the Saltwater Caravan Park, a few kilometres out of Yamba, last Thursday. 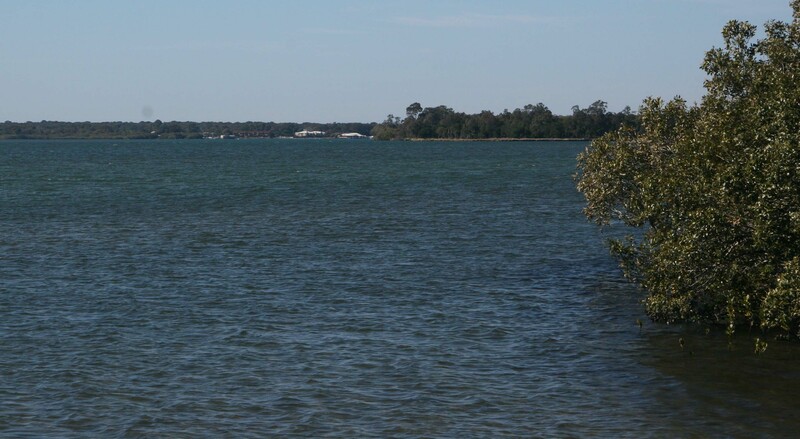 Pete and Barb have a great site, with a view of the river and some marshy land, where water birds can be found, most of the day. We are camped next to them. There are a lot of birds all day long and we have Butcher birds, Magpies, Fairy Martins around the camp, to name a few. 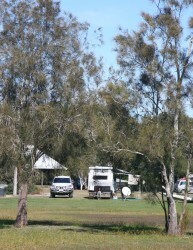 This is a photo of our caravans looking back from the river. Every morning, Pete and Barb walk their kayaks down to the river and stay out for a couple of hours, fishing and enjoying the bird life. Pete’s managed to catch a Flathead every day and today he caught a really good sized one. It’s a lovely park, with good facilities, a magnificent pool and Pirate setup for the kids and the weather has been wonderful. Coming up the extra 400 kilometres has made a difference to the temperature of at least 6 degrees warmer during the night and the day. Today it is 23 degrees, with a North breeze. We all went out for lunch today to a Seafood Co-op in Maclean. As you drive in to Maclean, you notice that all the bottom metre or so of the lamp posts have had a different tartan (and the name), painted on them. The town has a lot of character and you get the impression that the locals look after the town. Later, we went and collected wood for our fire tonight. 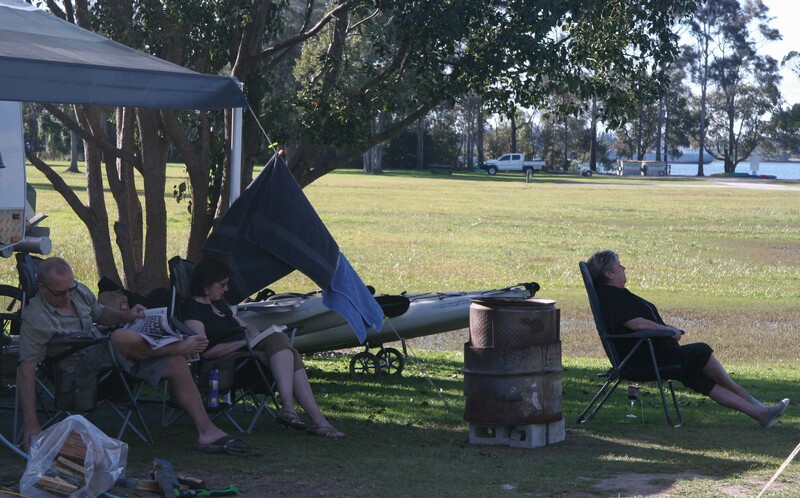 It does get cooler around 5pm, so we have been enjoying sitting around the fire at night. Pete and Barb may have to leave in a few days, but we have booked an extra week. You never get tired of the view from out camp.